My last post sucked the life out of a few readers, so today's post will be StuccoHouse lite. 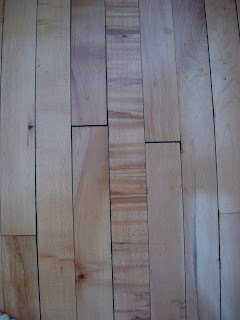 A while ago (ok, a really long time ago) someone posted a comment asking to see photos of the tiger & bird's eye maple floor boards in my upstairs sunroom. Hard to imagine that at one time this was considered inferior flooring, covered with very dark stain to hide the "flaws" and used as a cheap solution in out of the way rooms. 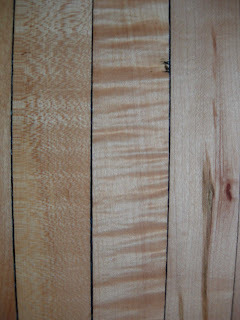 A while back, Petch House did a very cool post about tiger redwood. 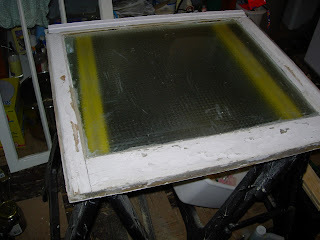 I have two goals in restoring my vintage windows. First, I want well functioning windows. Secondly, I am slowly removing the old lead paint from the woodwork in my house and the windows carry about 75% of that old paint. I made the decision early on in this project (and my house for that matter) that I wasn't going to rush. I'm in no big hurry and I want to take my time so it doesn't become a nightmare that scars me (and the house) for life. I also decided that I want to work on these windows once and that's it. So, I'm telling you now, my methods are not always the most efficient. 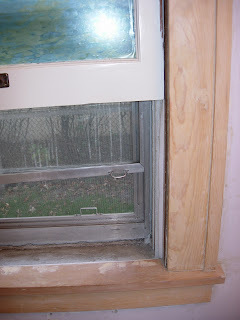 In my last post, I included photos of what some of my windows looked like in the beginning. 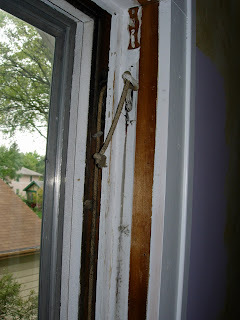 It's pretty straightforward removing sashes from the window frame. In casements, obviously you just unscrew the hinges. 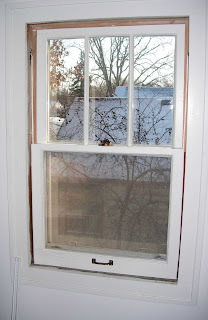 In the double hung windows, you need to gently pry off the interior stop (trim piece that holds in the sash). If it's painted on, I first take a utility knife and run it down the seam where the interior trim meets the windows frame. 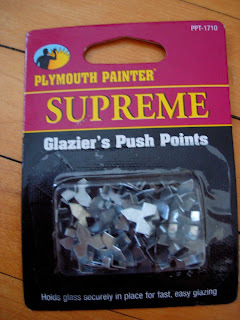 Then I use a putty knife to pry up the stop pieces. I've been saving my stop trim pieces, but it's not the end of the world if they snap. Many profiles of replacement stop can be found at the big box stores. I work on one sash at a time. 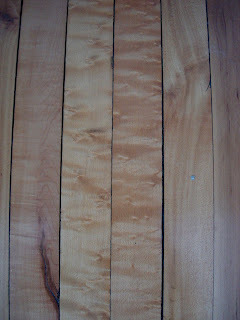 Once the trim is off, you can swing out the bottom sash while it is still attached to the side ropes. 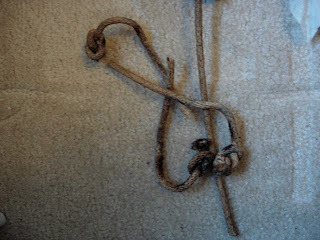 The rope has a knot on the end (and sometimes a small nail) to keep it in a small little cave on the side of the sash. I tie a stick to the end of the rope after I pull it off of the sash to prevent the pulley weight from sliding back down into it's hole and the old rope will be helpful later. I've been filling in the missing sash space with a piece of plywood and attaching it on the interior while I work on the sash. I also have permanently attached storms which help when working on the windows. 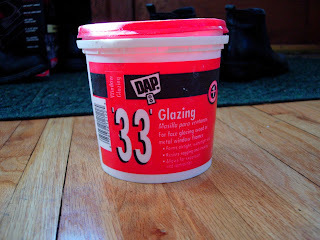 For the most part, I work on stripping the paint from the windows outside or with the windows wide open. 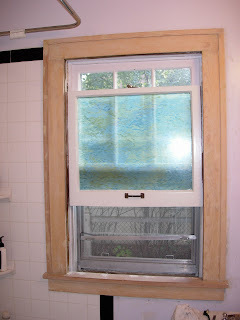 The first thing I do is remove the old, wavy glass from the sashes. Don't panic, I reinstall it later. If I'm lucky I can use a dental pick, razor blades....and whatever else to pull off the old putty and very, very carefully pull out the old glass. This is a painstaking process and takes a lot of time. You can't rush it. 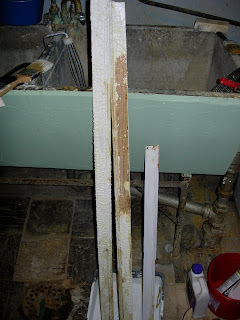 If the old putty won't budge, I put some heat reflective tape (find it in the plumbing dept.) 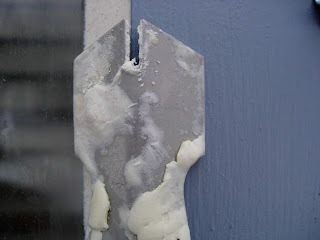 on the glass next to the putty and then use my heat gun on low setting to gently heat the putty. Sometimes I can get it to crumble with the heat. 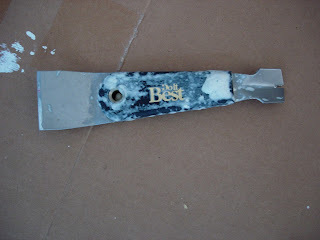 If that fails, I brush a little stripper on the putty and let it work for a while. Sometimes I can get the putty to melt with the stripper. 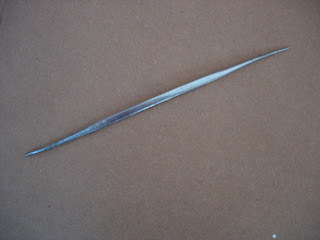 Just a tiny warning - some strippers can etch old glass, so you want to be very careful. Removing the glass is almost always hellish. There will be a point while you are removing the glass where you will seriously consider giving up your will to live. When this happens, go take a little nap and know that you are about halfway done. Once the glass is out, I very carefully label it and set it aside. My upper sashes have three panels and I learned my lesson the hard way - the glass is cut for one specific space and labeling the glass makes it easy to put it back where it belongs. Just remember, the old glass is pretty fragile. If it breaks don't kick yourself too much. Buy some replacement glass and move on. Next I take off the hardware, put it into a baggie and set it aside. Trust me on the baggie. 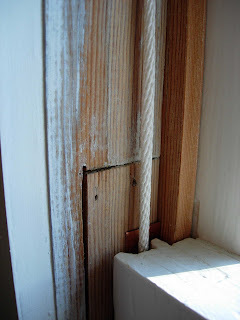 I use a heat gun & putty knife to remove the bulk of the paint on the wood sash frame and Zinsser Strip Fast & steel wool/those little stripper brushes to remove the residue. 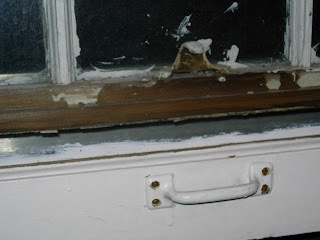 I also remove the paint from the sash channel....and all of the interior trim using the same methods. 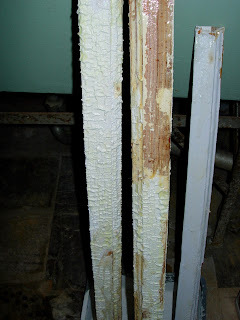 But remember, this is lead paint and you need to take your own circumstances into consideration when removing paint. I'm obsessive about things and I always have my camera ready to document the different paint colors as I remove the old paint layers. 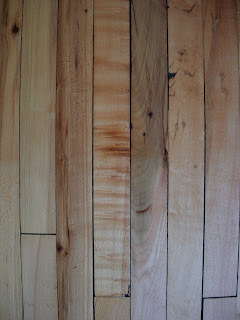 I also treat the wood with BoraCare as a preservative. 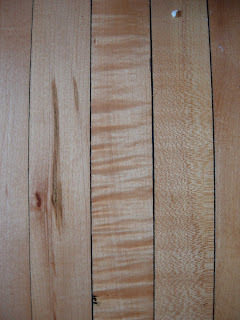 Some people put a coat of boiled linseed oil/turpentine on the wood as a treatment. 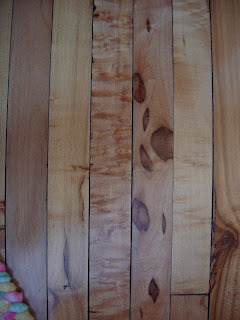 I'm not a fan of this mix on exterior wood (I do use it when restoring interior furniture), so I pass on that. 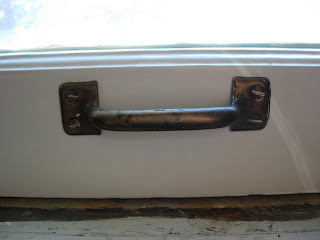 Things are a little slow here at StuccoHouse, so I thought what I would do is write a series of posts about the steps I'm taking in restoring my old windows. I have 13 double hung, 12 casement, and 3 stationary windows. This is not new territory and much information is available online. It has been one of the most rewarding projects I've worked on as an old house owner. It takes a commitment of time, but this is not brain surgery and it does not take much skill. I think most of the putty is original (1924) and almost all of the glass is the beloved wavy glass. All of the top sashes in my double hungs were painted shut. 90% of the ropes were broken. The wood was, thank heaven, for the most part solid. My biggest challenge has been this funky textured paint used on the exterior trim (you've heard me whine about this before). 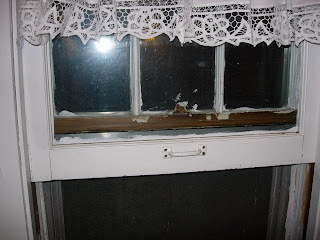 Today I will post some photos of my windows in their original condition (the windows with the tacky flowers are a set of 3 casements). I accomplished a few things this weekend. Two of which you probably won't care about and one that is kind of fun. On Friday I was walking by a TMobile store and decided on a whim to go in and look at the new phones. Next thing I knew, the teenie-bopper salesgirl was handing me my activated, free upgraded phone. I've been stressed out since. My old phone was 7 yrs old. It was blissfully outdated and was not audible when it rang - I happily missed 99.9% of my calls. They were shuttled to voicemail. I am not a big phone talker and this worked well for me. Not so well for anyone trying to reach me. The new phone rings loud. Really loud - even on it's lowest setting. I have to peel myself off of the ceiling after every call. But, it is pink and does have a camera. With my new phone in pocket, I went and ordered two new roller shades for two of my refurbished upstairs windows. Who knew, first, that roller shades were so hard to find...secondly, that they were so expensive (I'll admit to ordering the upgraded version).....and finally, ordering them was so involved. It took me 45 minutes to order 2 identical shades. 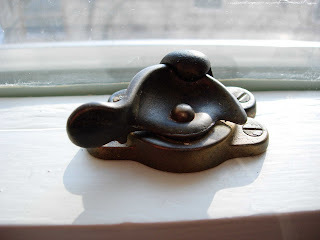 I want to use my original vintage roller hardware, so the saleswoman had to call the manufacturer to confirm the new shades would fit. They will arrive in 3 weeks. More on this later. Finally, I ran across a very fun website for historical maps. They have a search function where you can input your address and it will pull up applicable maps. I found a plat map from the 1940's of my neighborhood. Of course, it's now on my wish list. Go ahead....do a search of your address....I'm curious to hear what maps others find.